It's been a while since I've done a chess puzzle, so here's one! It's illegal in at least 10 ways. The first one to find all of the ways this position is illegal (it's 10 or more, I know exactly how many) gets the check and +1 from me. Updated: I am considering, for the sake of this question, a way that this position is illegal to be any part of the position that could not have occurred from the starting position, even if it requires other illegal pieces to be that way. Both kings are in check. The black king is in check by both the Rc3 and Bg4. Double-check is possible in certain cases, by either a discovered check or an en-passant capture, but neither can have happened here. The white bishop on b1 can only arrive there via a2 and c2, and there are white pawns on a2 and c2 which can't have moved. White has two light-squared bishops; one must have been promoted but White has still eight pawns. There's no way for the black rook which started on h8 to escape (to either b6 or a1). it will be hard for the Ra1 to reach that square, but once you assume the Bb1 materialized out of thin air (see 3. ), it's not a problem anymore. the black pawns are 7 columns 'away' from their home squares, but if you assume the g3 has been dropped there, only 4 captures are required to account for the a- and b-pawns, and there are four white pieces missing (two knights, a rook and the queen). some of these irregularities could happen during a game of bughouse. Black's h8 rook could not have left rank 8, yet black has two rooks, entailing a promotion from a tenth black pawn! Black's check with the bishop on f3 had to be a capture -- yet another capture by Black, and this capture, too, is invalid for the same reason as given in 3. White pawns have made at least three captures towards the kingside, e.g. bxcxd5 and dxe3. Moreover, two captures fxexf or fxgxf are needed to put a white pawn on f7. However, even if we remove a black pawn, black is missing only one unit (a knight -- correcting an oversight noted by Separatrix). White's check with the bishop on g4 had to be a capture -- yet another capture by White, and this capture, too, is invalid for the same reason as given in 5. White's bishop on g4 and rook on c3 are giving an impossible double check. 4. and 6. mean both kings are in check at the same time. White bishop on b1, though it wasn't born there and couldn't have moved there. White has two bishops on white squares but has eight pawns and thus has no promoted pieces. I'm not sure how you're counting, but here's my answer. Possibly an incomplete answer. The black king is in check from two pieces. There are 9 black pawns. Removing the one at g3 makes the pawns at a3 and b2 valid via capturing white officers. 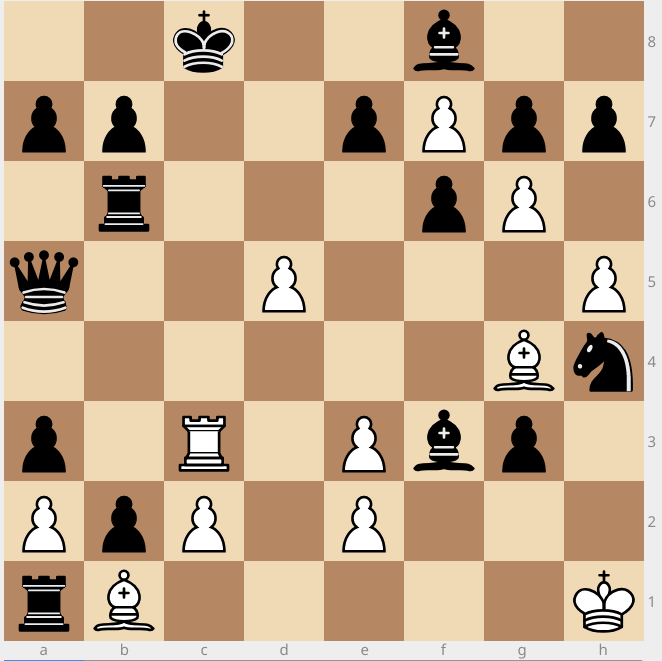 There are not enough captured black pieces for the white pawns to be in those positions. The f7 pawn in particular is in a suspicious location, though this pawn configuration is possible if there were enough black officers to capture. The white bishop on b1 is in an impossible location. The white bishops are both on white squares, but all of the pawns are present. The black rook at a1 is in an impossible location... Sort of. 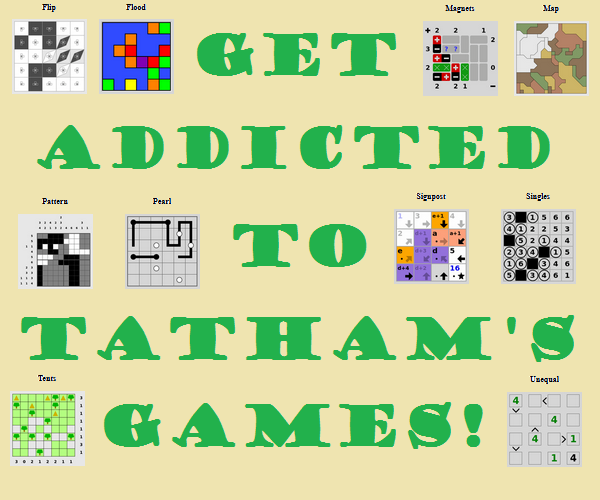 It would be possible via promotion, but there already too many black pawns for that to be possible. There should be a black rook in the upper-right corner because there's no way it could get out with the bishop at f8. That's all I see. I might be lumping together multiple items by your count into one. The black king is in double check. This can only happen if one of the checking pieces shielded the opponent king from the other prior to the check. This is not possible with the took on c3 and the bishop on h4. The white bishop on b1 could never have reached this field with the white pawns on a2, c2. White has two bishops on white fields. This can only happen after a pawn has been promoted. White however still has their complete set of 8 pawns. With white pawns on the e and g files and a black pawn on f6, the white pawn on f7 can reach this field only with at least 2 captures. However, black has lost only 1 piece and all pawns (in fact even one surplus pawn, he. item 1), thus never had a promoted piece. With black pawns on e7,f6,g7,h7 and a black bishop on f8, the black rook initially on h8 could only have reached the field g8. Black is in an 'impossible' double check and puts white in check (cf. items 2 & 3). That can only happen if black doesn't move out of a check, thus playing illegally. 1. White bishop in B1. It's not possible in a normal game. 2. Two white bishops in the white square, while still having 8 pawns. 3. Black Rook in A1. It's not possible in a normal game. 4. Black Rook going out from H8 while Bishop hasn't moved from F8. 6. Black pawn totaling 9. It was supposed to be only 8 in a game. 7. White king under check, while black king also in check. 9. White pawn structure. It just simply weird to have a pawn on F7, D5 while also having a pawn on E3, while black only missing a knight. 10. Both kings is under check, is simply impossible. Assuming bishop b1 to have been placed there at the start of the game, white rook starting a1 could not have legally escaped, but could have been captured by a knight or queen. Black bishop could not have been used. 2 white bishops, with 8 pawns. Does this count as two illegals? Black is in check by 2 pieces, which, as arranged, could not have co-participated in a discovered check. White's bishop could not reach B1 without a pawn moving backwards. Black's rook could not have reached A1. Both White bishops are on the same color. White pawn at F7 cannot have passed through Black pawn at F6, nor could it have reached that position through capture as Black is missing at most one piece. White pawn at position E3 is impossible without capturing more material than Black lost. White pawn from file B is unaccounted for. With Black down at most one piece, it should be in file A, B, or C.
Black rook from H8 could not have left starting position (other than G8 and it's not there either). It's tempting to say that positioning of Black's pawns is illegal, but I've already taken credit for one illegal pawn. If A3 is that illegal pawn, then it could have started at, say, A6. Then B2 could be reached by capture of 1 piece, and G3 could be reached by capture of 3 pieces, and White is down in material by 4 pieces, so it's not impossible. It depends on whether Black started out with 16 pieces within its two starting ranks (substituting a pawn for a knight), or if the 9th pawn started the game outside of those two ranks. Black has a 9th pawn. Both White and Black are in check simultaneously. Black is in double check with the c3 rook and g4 bishop. White's two bishops are on the same color of square. White still has 8 pawns, so one bishop could not have come from promotion. Either a bishop started on the wrong square, or White started with additional pawns and/or bishops. White's bishop on b1, if it started on f1, could not have got to b1 when the diagonal pawns are still in place. Black's rook on a1 could not have got there behind the b1 bishop, if the bishop started there. Black's rook that would have started on h8 could not have gotten out of the g8-h8 box. White's pawns on d5 and e3 and f7 require that at least 5 diagonal movements - captures of Black's pieces - have taken place, but Black is down at most 1 piece (a knight), or started with several additional pieces. Fun! But I count only eight. Both kings are in check at the same time. Regardless of the other pieces on the board, it is impossible for a king on c8 to be in check simultaneously by a bishop on f3 and a rook on c3. B's king is in check by the bishop on f4, meaning it's black's turn, yet no legal white move can lead to that position without the black king already being in check by the bishop before it. Note: the check by the black bishop could have happened legally, via a discovered check by a knight move. W has two light square bishops yet no pawns have been promoted. B's pawns in c2 and a3 must have made a total of at least 4 captures to get there (where both 2+2 and 3+1 are possible), and the pawn in g3 must have made at least one. That's a total of 5, but W has lost only 4 pieces. B's pawns in c2 and a3 must have made a total of at least 4 captures. W has lost 4 pieces but one of them, the h1 rook, cannot possibly have been captured by these pawns: only 3 captures in total were available to them. Focus now on B's pawns in a3 and g3: they too must total at least 4 captures, and we have the same conclusion as above. The pawn in f7 must have made at least 2 captures to get past the pawn in f6 (which can't have made any). Yet B has lost only one piece. No matter where it is now, the pawn that started from the b file also must have made at least two captures (same conclusion as above.). The bishop in b2 is blocked by pawns in starting position, meaning it started the game there, where a knight should have been. The rook in a1 can't have come here since none of the pieces at a2 and B1 can possibly have moved, which means this rook started the game here instead of a white rook. Note: the fact that the white rook isn't there any more is not impossible as it could have been captured by a knight. Only the black rook coming is impossible. If B's h8 rook had started where it should have, it would still be on h8 or h7. Therefore it started elsewhere (or was captured and reborn by promotion, but no black pawn is missing, quite the opposite). What is the position in chess with the longest string of moves before mate? Are you more clever than Alice?